← Update: Sox Offer Beckett Four More Years. 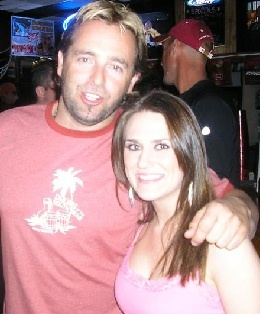 Unfortunately for fans of hard drinking backup first basemen/outfielders, Kevin Millar was cut by the Cubs yesterdat in his attempt to continue his career into a thirteenth season. Though it is sad for Millar, and all of the Chicago college girls who he was going to “pleasure,” It brings up a new opportunity for those of us who love an miss Millar in Boston (just not in the lineup). For one he could do as I’ve always hoped and join NESN as a sideline reporter and analyst. He is the natural successor to Remy and would be hilarious on the set with Jim Rice’s suits and Dennis Eckersley’s hair constantly reminding him that they are in the hall of fame and he’s not. They could also send him out on the road to do live check ins with fans in the bars as he gets drunk and see how many innings it takes until he gets incoherent, throws up on air or pulls a Joe Namath with some random college chick he’s interviewing. Eventually, when Remy decides to leave the booth, he and his bottle of Jack Daniel’s would be the guy to step in along with Donny O. Imagine him picking up strange, on TV....... Hilarity Ensues. He could also try to extend his “career” which to everyone else peaked when he was one of the 25 guys on the roster when we won in 2004. Texas may have some interest, as it seems less and less likely that they will take Lowell off Theo’s hands without the Sox picking up the entire $12 million tab, even though he has been hitting on all cylinders lately. Millar would fit the bill of a back p first baseman/DH who could hit for some power off the bench and serve as insurance for when Vlad Guerrero inevitably goes down. It’s a shot to extend his playing days, which is what he really wants to do and also kinda screws the Sox at the same time. The best option is to redefine reality TV by giving Millar his own show. It wold basically be a reality version of Cheers, but the bar would be in the Sox clubhouse, and the part of Diane would be played by DeMarlo Hale. Every night, when the game ends, the guys would come back to their lockers to find Millar set up behind he bar, serving drinks and spitting old timey bartender wisdom. The players would be able to come to Millar to talk about their issues, work through a rough day on the field, or just to see what Northeastern girl he was trying to give his special brand of love to that night. 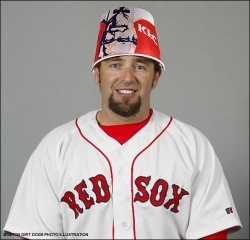 No matter what happens, Kevin Millar will always hold a special place in the hearts of all Red Sox fans, and he likely won’t be able to buy himself a drink in the city of Boston. If you’ve got any ideas of your own, feel free to share them in the comments section. I’m sensing a Sox Appeal resurgence.